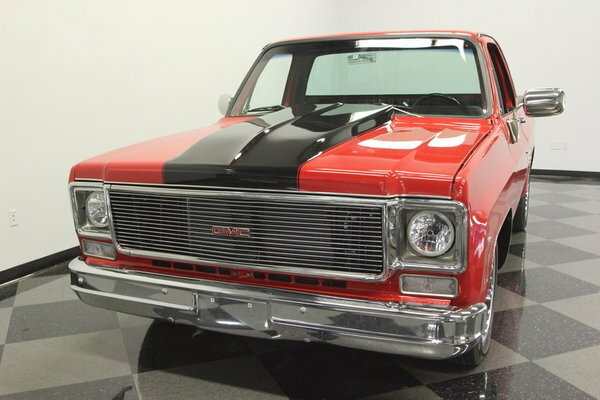 Freshly built and awesomely presented, this 1976 GMC C-15 is a cool custom truck with a well-coordinated presence and awesome big block power. 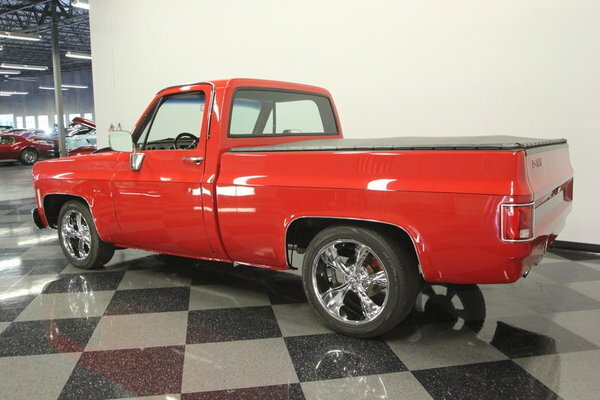 There's less than 1,200 miles on this build, and it really shows. 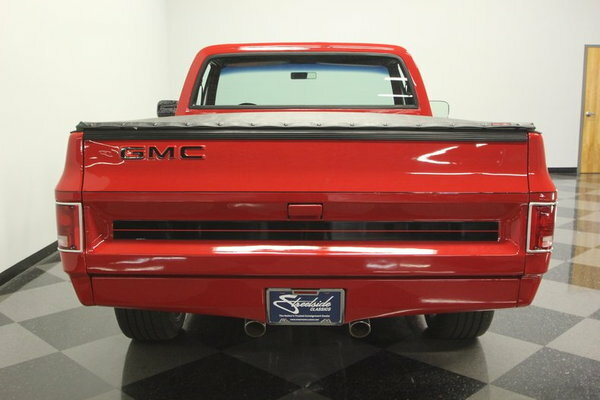 The red has a deep gloss and shine that comes from a recent application and a professional hand applying it. 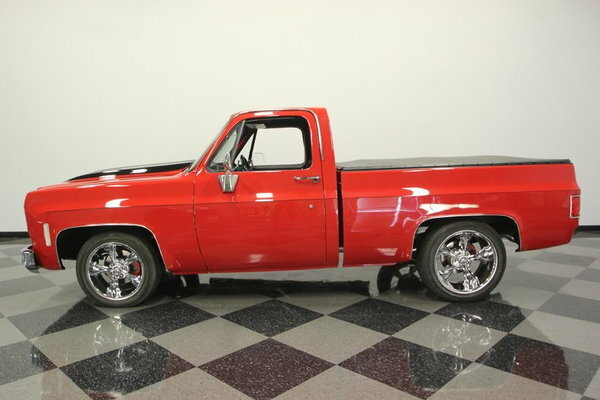 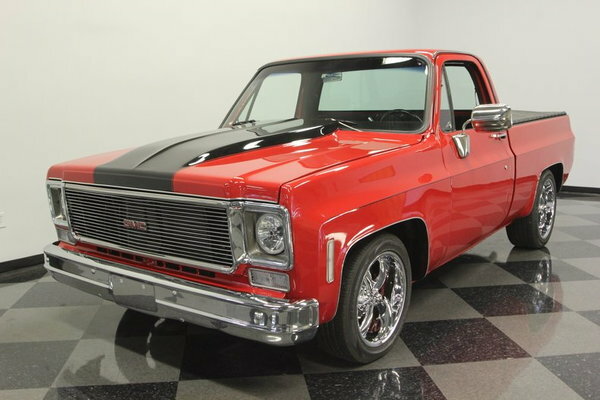 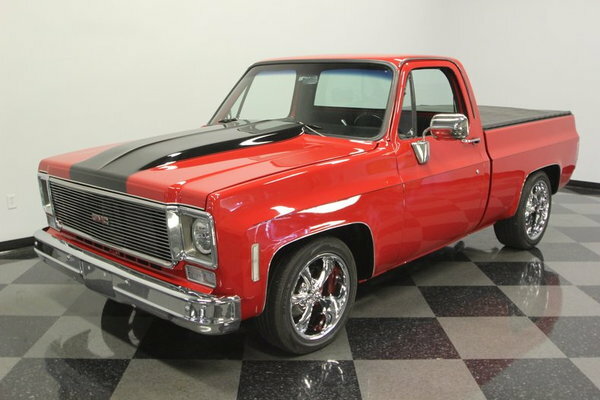 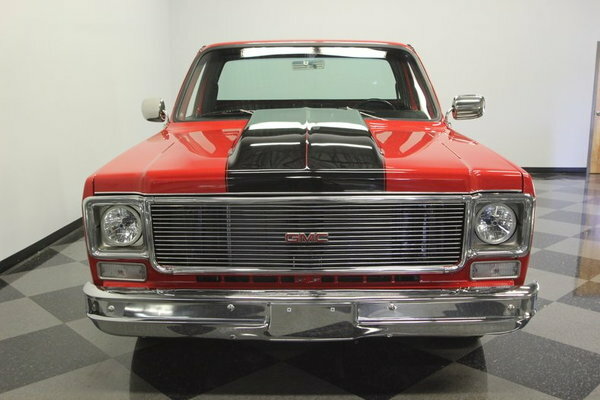 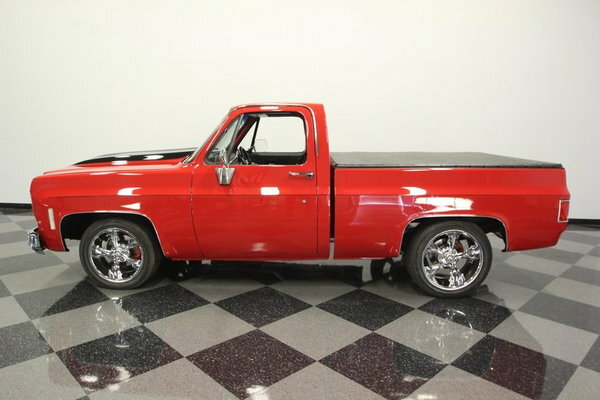 It really brings out the crisp lines that we love in these classic GM trucks. 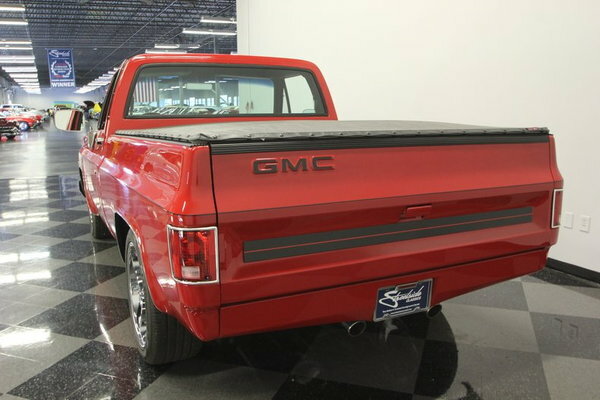 But there's much more going on here. 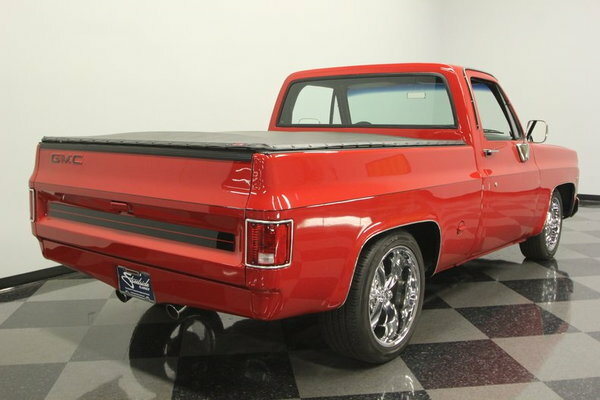 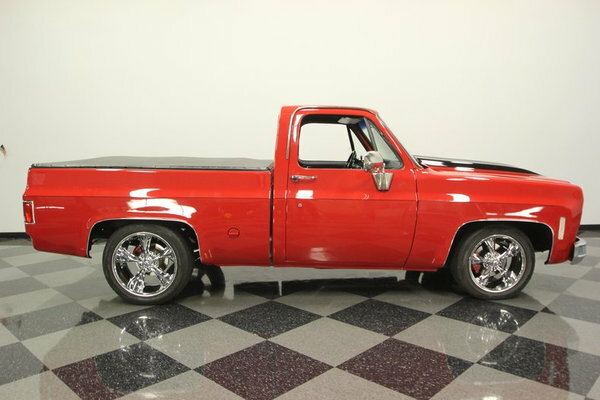 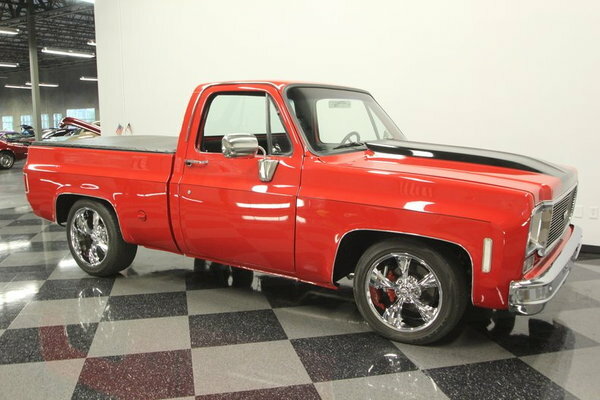 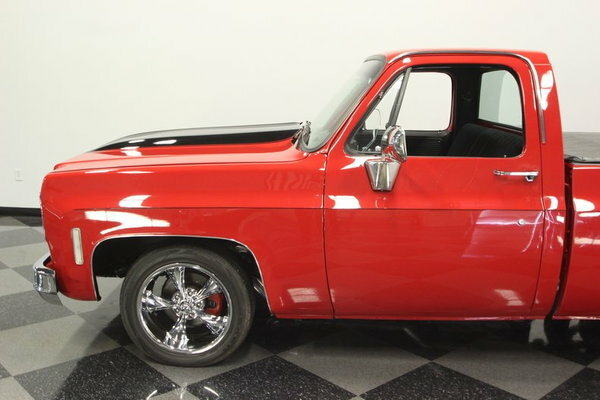 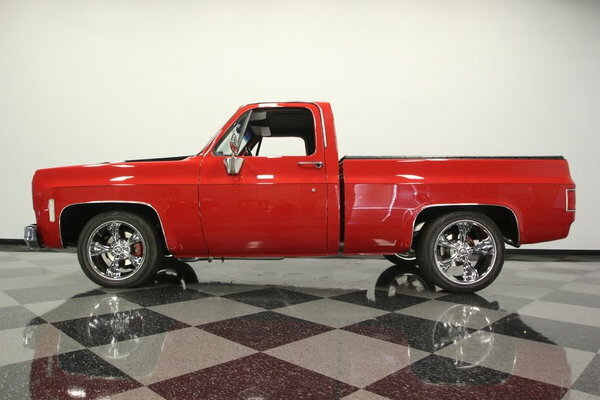 While these pickups were born to look tough, this one also has a sporty side with custom upgrades like the cowl hood, flush roll pan, and bright Ridler wheels with a 18/20 inch front/rear stagger for an awesome stance. 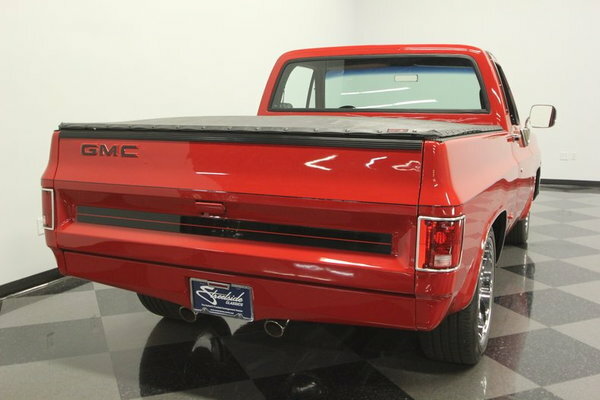 Plus, while the red looks terrific, this has a well-coordinated dark side with the wide black hood stripe, black tonneau cover, and custom tailgate. 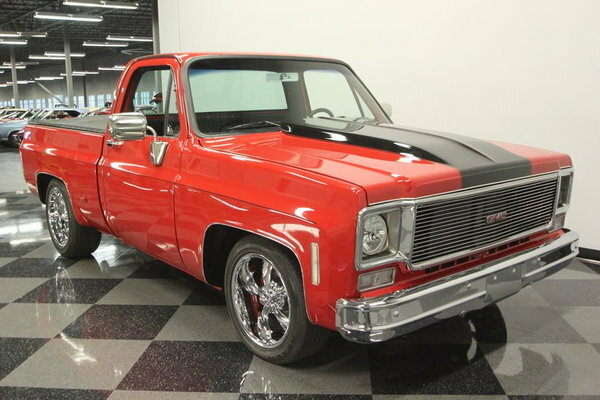 And the freshly dipped front bumper, upgraded headlights, and bright billet grille makes sure this custom truck always puts its best face forward. 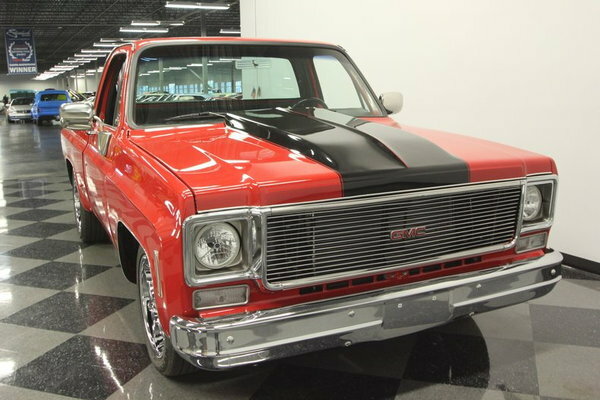 Inside, the red returns as an accent against the black interior. 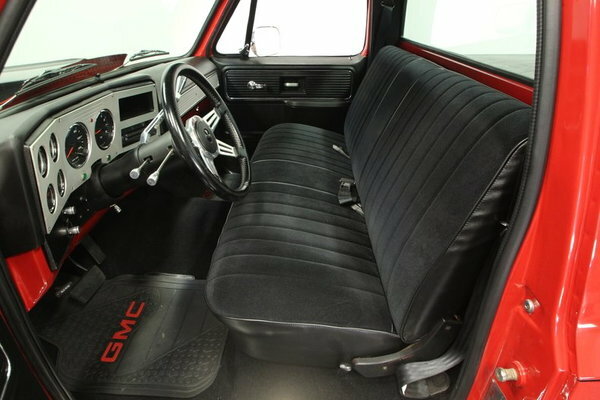 You can tell by the fresh cloth seat, taut door panels, smooth dash pad, and plush carpeting that they made a solid investment in keeping this deep and dark. 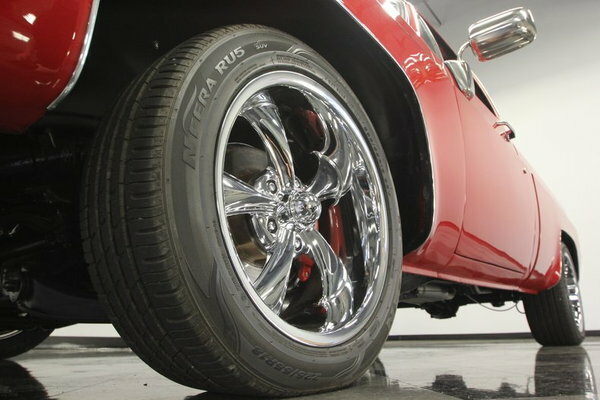 The spokes of the Lecarra sports steering wheel and the aluminum panels on the dash add some flair. 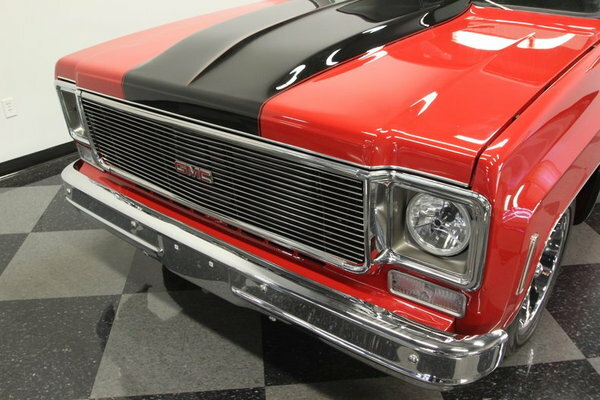 Plus, they nicely frame pieces like the upgraded AM/FM stereo, tilt steering column, and full Speedhut gauge package – including a large speedo and tach. 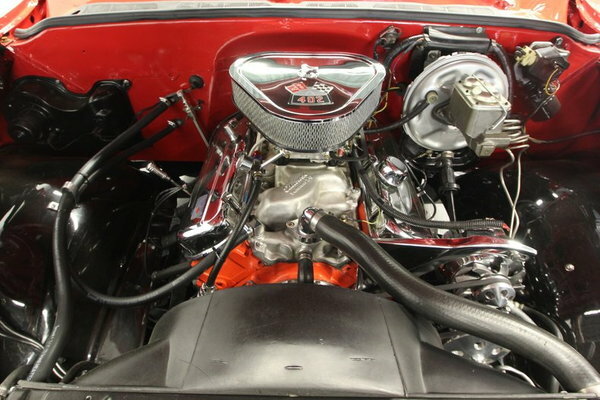 The engine bay also reminds you of how fresh this build is with its ultra-tidy presentation and smooth black inner-fenders. 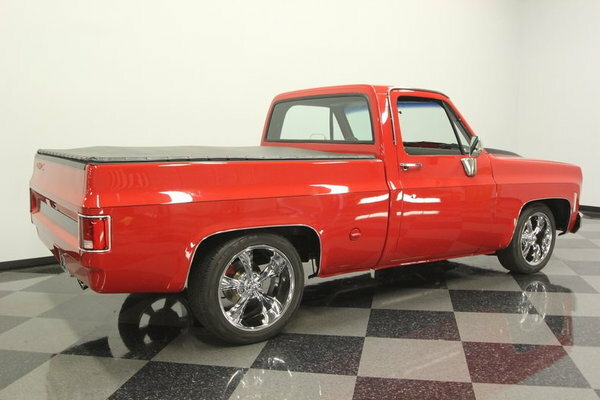 And it's car show ready with all the polished components, including the valve covers, alternator, water pump, battery cover, upgraded pulleys, and the air topper that announces the big block underneath. 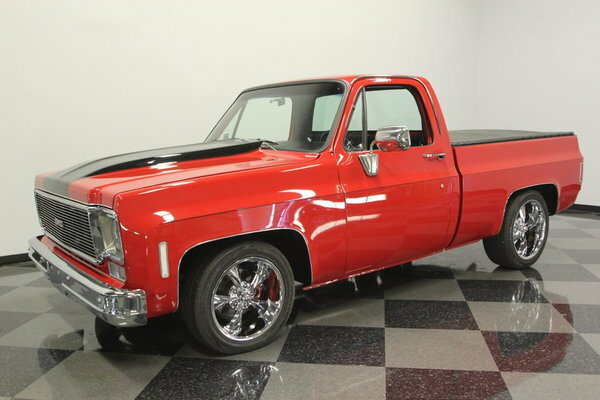 This 402 cubic-inch V8 is enhanced with a large Holley dual-feed four-barrel carburetor, Edelbrock aluminum intake, and powder coated headers that feed a wicked dual exhaust. 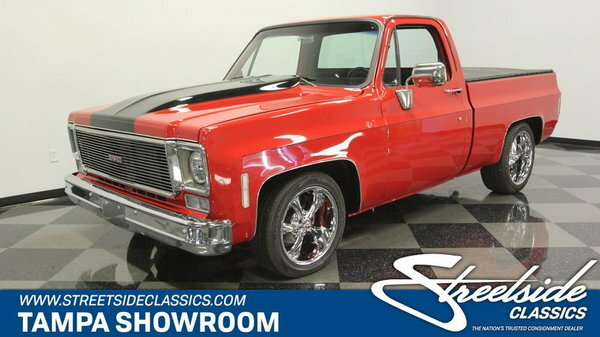 The transmission has been upgraded to a four-speed automatic, so now you have better gear ratios and overdrive comfort. 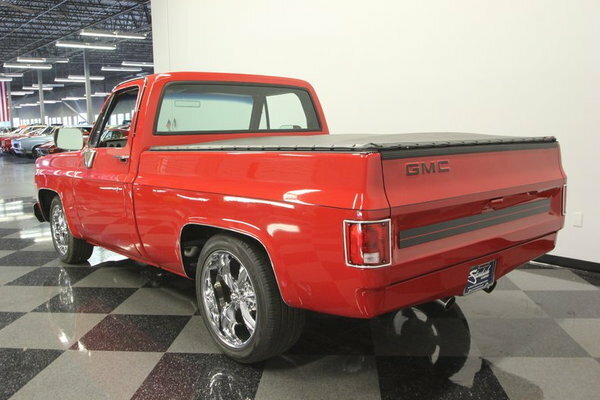 Plus, with power steering and upgraded four-wheel disc brakes, this is a great anytime driver.